Dine in style with the 4 piece festive napkin ring set for that finishing touch enhancing any dining occasion this Christmas time. The Newbridge Silverware E.P.N.S cutlery collection is distinguished by wonderful craftsmanship, detailed finishes and superb quality materials making it an excellent gifting choice for the perfect table setting. 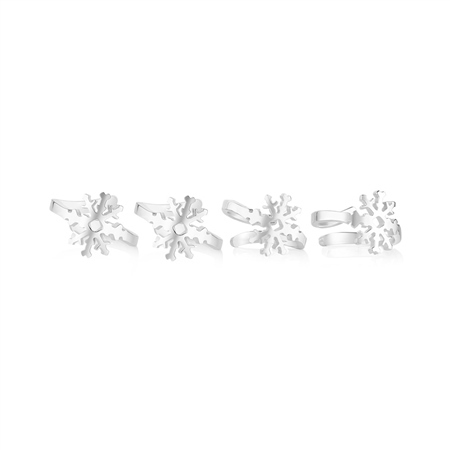 Set of 4 silver plated Christmas napkin rings, snowflake design, presented in a Newbridge Silverware Christmas collection gift box.